Looking to dismiss a Delaware traffic citation or reduce your insurance premiums? 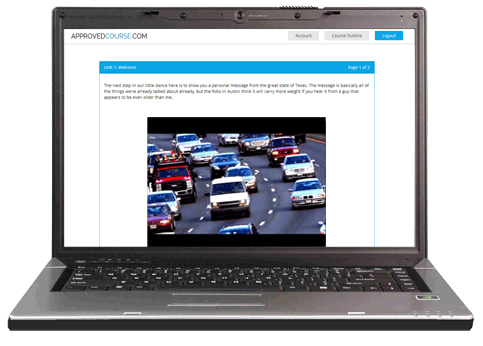 Our Easy Online Defensive Driving Course DE is a quick and affordable way to do just that. We know that your life is busy. Don’t make it busier with traffic school. 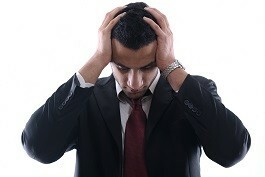 You need an answer that is self-paced and stress-free. Our online Delaware defensive driving course offers you the ease, convenience, and flexibility you are looking for. Got a computer? You’ve got your course! Fit your course into your busy life. Work all at once or a little at a time, it’s entirely up to you. Whether you’ve got a ticket to dismiss or you’re trying to save a buck or two on your car insurance, taking this online Delaware traffic school is the way to go. Never set foot in a classroom. Get your course done at your own pace at your own place. Your course is completely in your control! Whatever you need from a traffic course, we’ve got what you’re looking for. To see an automatic 3 year, 10% reduction on your car insurance premiums and a 3-point credit on your driving record, our Insurance Reduction Course is what you need. Not a bad payoff for a few hour’s work! If you’ve already taken our Insurance Reduction course, our 3-Year Refresher course is for you. Extend your points credit for another 3 years and bump your premium discount to 15%! If the court has ordered an aggressive driver course, we have you covered there, too. Use our easy, online course gives you an easy way to meet your court order. This course has been approved by the Delaware Division of Motor Vehicles (DMV) as well as the Delaware Department of Insurance (DOI) and is fully certified for ticket dismissal and insurance discount. What's more, all of our courses come with a money-back guarantee, and we are here 24/7 with live customer support to help you on your way. We believe that a defensive driving course DE should be helpful to you and that the folks who bring it to you should be too. We are here 24 hours a day, seven days a week to answer any question or address any problem you may have. Our customer service team is also here preparing to process your certificate of completion as soon as your course is finished. In fact, finish your course by 3 PM Central Standard Time, and we will have it in the mail to you that very day. Don't worry, every driver gets one from time to time. The nice thing is that Delaware allows you to make that ticket go away by taking an approved defensive driving course. Whether you were running late for work or thought that light was going to stay yellow for just a little bit longer, a DMV Approved course is what you need. Even if you don't have a ticket to dismiss, you can take a DOI approved course to receive a discount on your car insurance premiums. Either way, our course has what you need. In fact, if you do have a ticket to dismiss, you can take advantage of both of these benefits! Delaware Defensive Driving the Easy Way!